Home of the realest, rawest sports show! Hosted by Ashley Baker & Andre Sutton! 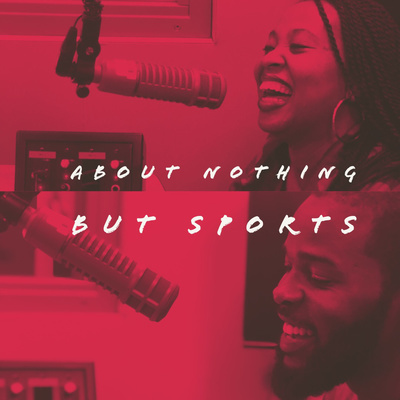 Hottest sports topics with fierce debate! You won’t be disappointed! NBA Playoffs are here! Warriors in trouble without Boogie Cousins? Russ Wilson gets paid & Tiger wins 5th Masters!!! 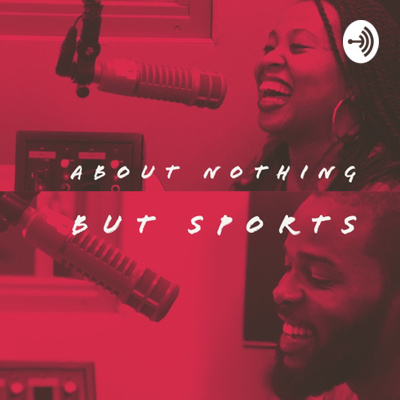 This week I discuss NBA Playoff action, Russ Wilson getting paid and Tiger Woods winning his first Masters since 2005!!! MAGIC QUITS LAKERS!! D. Wade & Dirk retire, UVA wins NCAA title & Aaron Rodgers gets DRAGGED! There was tons to tackle this week! From L.A. to UVA to Greenbay! Me and Andre got a lot to say!!!!!! We talk wrestling, NBA and NCAA on this week's episode of ANB Sports with a special guest Brian H Waters! MAJOR NFL rule change, Lebron misses playoffs for the first time in over 10 yrs and Gronk & McGregor retires!!!!! Crazy past week in sports! NFL makes major rule change, Lebron won't see the playoffs this year, and Gronk retires! Connor McGregor finds himself in our pass the tea segment! March Madness Mania! Is Lebron a sore loser? Are the Cowboys Super Bowl contenders? This week we talk March madness! We pass judgment on Lebron sitting out of huddles during timeouts & NBA! We also talk about the Dallas Cowboys being Super Bowl contenders! Episode 5- Shocking OBJ trade, AB to the Raiders, Lebron passes MJ and Russ Westbrook curses out a fan! Episode 5 is on fireeeeee! Tons of NFL trade talk, NBA talk and Russ Westbrook makes the Pass The Tea segment! Episode 4- The return of Zion Williamson? Lebron killing chemistry? Witten back? This week we welcome editor and chief of The Carolina Blitz Vashti Hurt who talks all things Carolina ESPECIALLY Duke! We also talk Lebron and the Lakers, the return of Jason Witten and the crazy world of the Pittsburgh Steelers! NBA All-star talk, MVP talk, Pass the tea & the craziness taking place in Pittsburgh! This week we talked about the NBA trade frenzy, Lavar Ball on the “Pass the tea segment” and recapped all things Super Bowl 53! About Nothing But Sports SB 53 edition! Quick initial reaction on SB 53!